TopCashBack has a deal right now where you can get a 8 pack of Brawny paper towels at Walmart for $9.97 and then get that $9.97 refunded in cash back. That nets you a free 8 pack of paper towels. The deal is only for NEW TopCashBack members. If you use my link I get a referral, thanks. --This article contains referral links which pay this site a commission for purchases made at the sites. I've never bought a new car myself. I feel like I'm in a minority in that regard but maybe not. 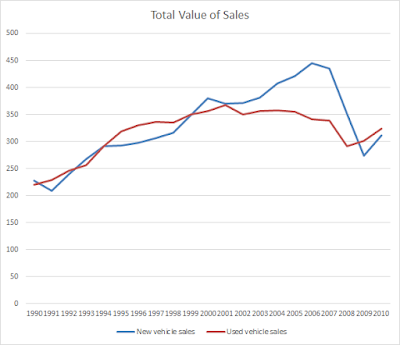 I was curious what % of car sales are new versus used so I did some research. I found data in Table 1-17 on the National Transportation Statistics page. They haven't updated the numbers on that table for a few years so it only goes up to 2010. But its good enough for my purposes and you can see the general trend is fairly consistent over a couple decades. Most car sales are used cars. 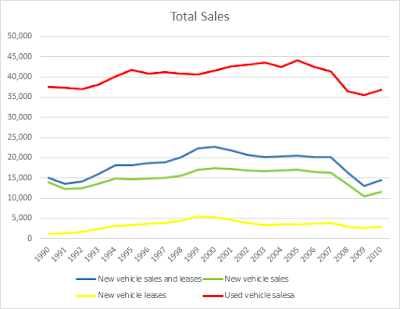 The total number of used cars sold is two or three times the number of new cars sold. In 2010 there were 36.8 million used cars sold and 14.5 new cars sold or leased. 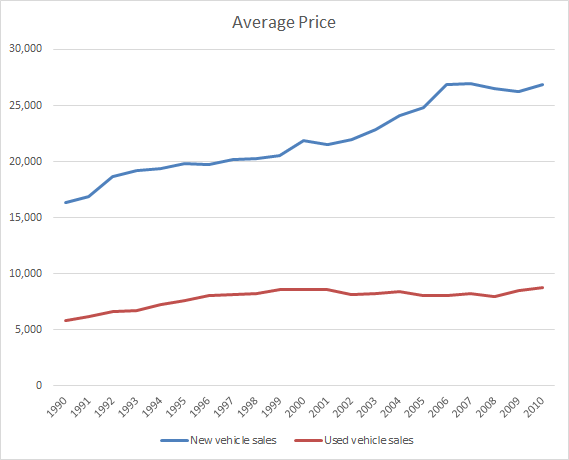 The value of used cars and new cars sold is roughly the same. 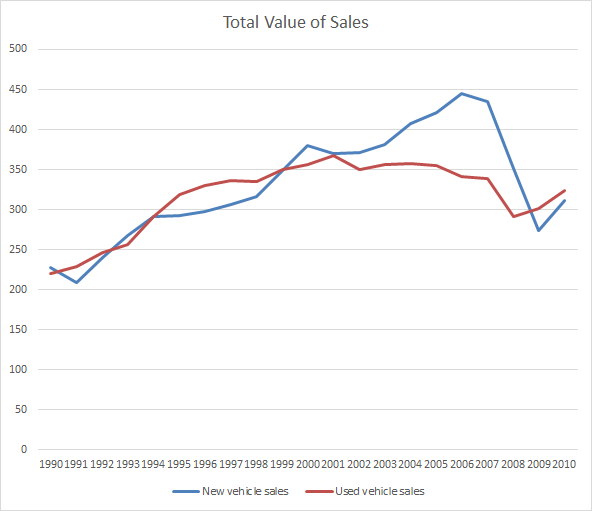 In 2010 we spent $324B on used cars and $311B on new cars. New cars average sales price is around triple the average price of a used car sold. In 2010 the average new car was $26,850 and the average used car was $8,786.